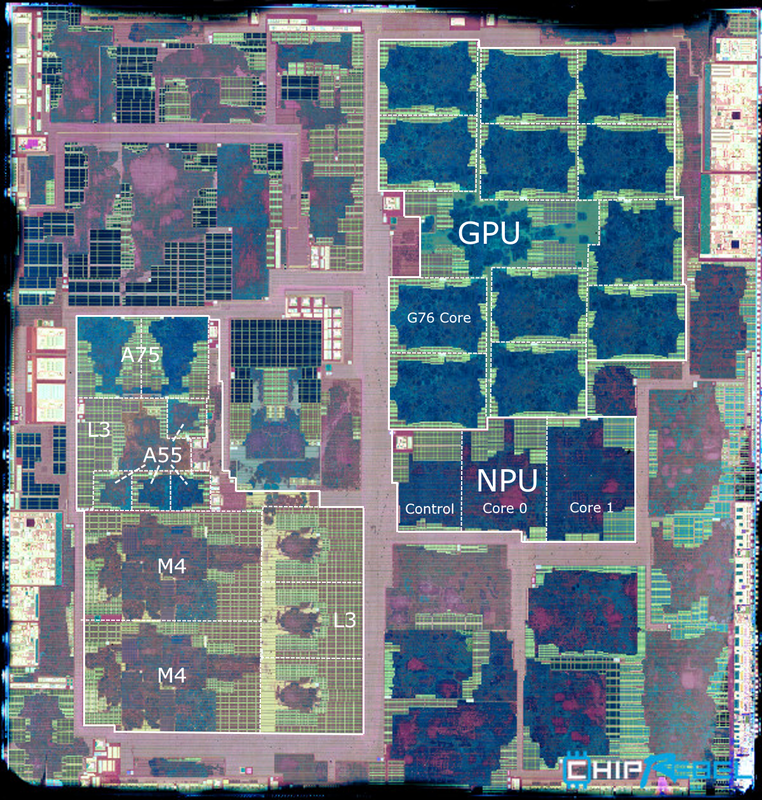 Every time a new SoC comes one, the one thing we eagerly await is for someone to release a die shot of the new chip. This process is most interesting when the new chip either comes with a new microarchitecture or a new process node. Last November, we covered the release of ChipRebel’s Kirin 980 die shot which gave us the first ever look of Arm’s new Cortex A76 CPU as well as Mali G76 GPU on a new 7nm process node. 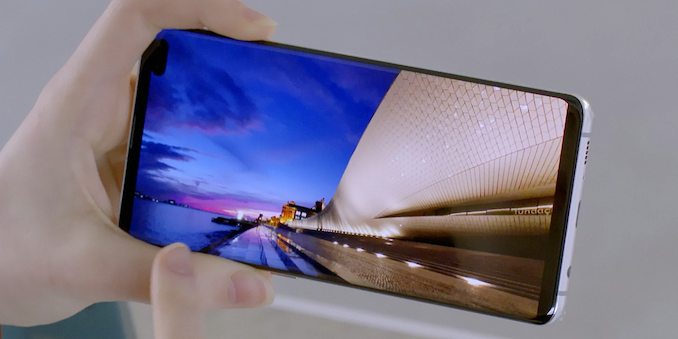 The folks over there are at it again and have seemingly been very busy overnight, this time around tearing down the Galaxy S10 with the new Exynos 9820. I’ve been going back and forth with the ChipRebel team on these last two projects and they’re great guys, definitely visit them if you are in need of die shots. The first thing standing out for the Exynos 9820 is the fact that at ~127mm², the chip has actually grown compared to the 10LPP Exynos 9810 of last year. Samsung’s 8LPP node isn’t as aggressive in scaling as TSMC’s 7nm process, and in theory the process node should bring a conservative 15% reduced area compared to its preceding node, leaving TSMC at a notable density advantage this generation. Compared to the Kirin 980 at 74.13mm², the Snapdragon 855 at 73.27mm² and even Apple’s A12 at 83.27mm², the new Exynos 9820 clearly stands out as out of line compared to the competition. The Exynos 9820 also changes a lot internally, compared to the Exynos 9810 last year. First off we notice that the CPU cluster isn’t as prominent as it was last year. The reason for this is simply that Samsung opted to only employ two of its new generation M4 cores as opposed to the quad-core layout of the M3 in the 9810. Interesting in the die shot is the new cluster layout: Next to the M4 cores we see now three L3 slices with a similar design as we saw in the 9810. However north of the two M4 cores we see a further L3 slice that differs from the other three. This slice seems to be the one that connects the new Cortex A55 and A75 cores to Samsung’s cluster. I’ve had the Galaxy S10+ with the Exynos 9820 in-house since yesterday, and I can confirm that the L3 cache has remained at a total of 4MB, although I need a bit more time to figure out exactly how much of this is accessible by the Cortex cores as there’s power management policies coming into play. The important thing to note here is that the Cortex A55 cores are no longer handicapped by not sharing the same higher level cache hierarchy as the rest of the CPU complex. The new Exynos M4 cores clock up to 2.73GHz, the A75 cores at up to 2.31GHz and the A55 cores up to 1.95GHz. On the GPU side of things, we still see Samsung dedicate a lot of area to the Mali G76MP12 – although it’s doesn’t look as big as last year’s G72MP18. Finally, below the GPU, we find Samsung’s new NPU. This is a dual-core design running at up to 933MHz and offering up to 1.9TOPs at 8-bit precision, although Samsung looks to be counting 6.9TOPs in quantised models. Samsung themselves publish the die area of this block to be 5.5mm². We thank the guys at ChipRebel for sharing this die shot with the public as it offers great analysis of Samsung’s new chip! On our side, we have the S10+ in-house now and I’ll be working on the full detailed device+SoC review. A $1 saving at Samsung's volume adds up to hundreds of millions of dollars. A 300mm wafer yields about 600 980/855 assuming ~70% yield, and 300 9820 assuming slightly lower yield. That's a $20 per chip disadvantage no matter how you look at it and worth billions of dollars. Of course, we also have to add in node maturity (8nm is an extension of 10nm, whereas 7nm is a bit more leading edge - more difficult to manufacture), licensing costs (IP isn't cheap), and differences between what TSMC charges others and what it actually costs Samsung to manufacture. Huawei's not doing Kirin because Qualcomm's "undesirable", you obviously see Xiaomi's flagships on SD priced more competitively than the Huaweis on the Kirins. Huawei's playing the nationalism card by pretending that piecing together ARM cores equate to creating "China's own SoC", or whatever, and by maintaining that character as the savior of Chinese semiconductors they could win the zealous support of and command a significant premium to brainwashed drones which unfortunately make up a significant portion of the Chinese population. "Huawei's playing the nationalism card by pretending that piecing together ARM cores equate to creating "China's own SoC", or whatever"
"the savior of Chinese semiconductors"
"win the zealous support of and command a significant premium to brainwashed drones"
I can't miss the heavy dose of subjectivity, bias, and frustration in your comment. They built a very decent SoC that they have full control of. The target was achieved: independence from OC, control over the roadmap and features, etc. This is the purpose of building your own SoC. Samsung spent a crapton of money to build a SoC that barely edges out the default QC offering but they still do it for the above mentioned advantages.